Cortina D’Ampezzo, 25 January 2019 – The Ferretti Group’s legendary and world-renowned Riva is official partner of the 11th Superyacht Design Symposium, held this year in the stunning and exclusive Cortina D’Ampezzo from 27-29 January 2019. Defining innovation: this will be the focus of the prestigious symposium of the international luxury yachting industry and, during the event, Alberto Galassi, CEO of Ferretti Group, will be making his contribution to the topic. Alberto Galassi, who is scheduled to take part in the rich programme of the symposium on January 27 at 10:00 am, will share his take on innovation with the audience with a focus on Riva, the Group’s iconic brand, true example of coherence and evolution in the yachting world. The heritage of the brand has been honoured through its strong DNA and it comes across in every model, from the 1950s Tritone to the latest Riva 90’ Argo, which joins Riva’s last flybridge generation and the yachts that go up to 95 metres in length. A stunning and stylish Iseo runabout will be on display – and sure to catch the eyes of people strolling around in search of stunning sights – at Cortina D’Ampezzo in Corso Italia 94, an exclusive setting where luxury, elegance, style and innovation meet until 31 January. The many yachting and luxury enthusiasts will have the chance to admire the 27-footer up close, one of the most appreciated masterpieces in the Riva range, featuring elegant lines, cutting-edge technology and impressive performance. A few metres further down at number 76, the grace and aesthetic appeal of the Riva Brand Experience will be showcased in the new Franz Kraler multi-brand men’s fashion store, along with top names built on outstanding sartorial traditions such as Loro Piana, Cucinelli and Kiton, and brands including Gucci, Saint Laurent, Valentino and Balmain. “Riva Inside, Inside Riva” is the Riva Brand Experience tag line. It perfectly encapsulates the meaning and exquisite charms of the accessories in a collection that instantly gained cult status, taking pride of place in homes and yachts all over the world. From designer home décor, clothing and accessories to high-tech items and legendary mahogany toys, they are all capable of conveying spellbinding tactile and visual sensations thanks to exceptional attention to detail and a choice of materials that calls to mind the sailing experience. Make sure you call in at 76 Corso Italia, where Franz and Daniela Kraler’s unparalleled expertise of luxury rules and customer demand gives concrete form to the essence of beauty and glamour. 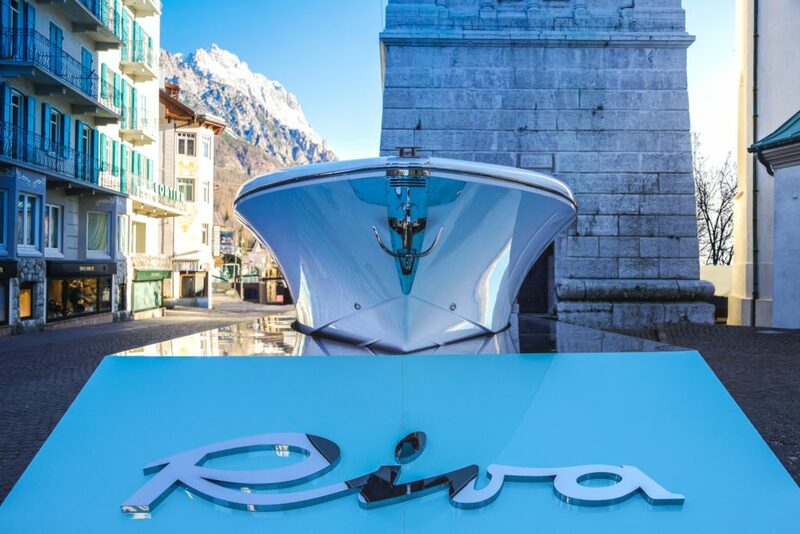 Nowhere could be better suited to playing host to Riva Boutique and taking a voyage through the Riva legend and its aesthetic delights.